This product is a new chocolate that tastes a bit like turkish, that I absolutely love and think it is the best one i’ve had for a long time. 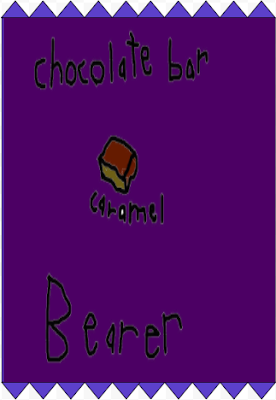 This product is a new dairy milk chocolate that is made from the company cadbury. It has a bit of caramel in each square. It is also a bit crunchy. As I smelt the turkishy chocolate I could also smell the sweetness flowing through my nose. When I touched it it felt a bit cold and a bit heavy but it was also smooth. When I looked at it I could see the cadbury logo and the smooth brown chocolate waiting to come to my mouth. When I finally bit into the chocolate I could feel the caramel sticking to my teeth and gum. As the sweet chocolate was getting eating I could also feel the turkish taste in my mouth. I would only like to change one thing and that one thing would be to put more chocolate in it and less caramel. I would also make each square a bit bigger. There is nothing else I would like to change. I would definitely recommend this and hope that other people will to. I recommend this because it is extremely tasty and has lots of yum things in it.